The U.S. dollar to Chinese yuan conversion rate tells you how many yuan you can buy for one dollar. It explains the value of the yuan compared to the dollar. For example, the dollar to yuan exchange rate was 6.68 on July 11, 2018. That means you would receive 6.68 renminbi in exchange for one dollar. When this number gets closer to seven, it means that the dollar to yuan exchange rate is rising. In other words, the dollar is strengthening and the yuan is weakening. The stronger dollar can buy more yuan. In 2017, the yuan rose 8 percent. The PBOC did not want to be labeled a currency manipulator. President Trump threatened to label China as such during the 2016 presidential campaign. In June and July 2018, the yuan weakened after Trump began a trade war by imposing tariffs on China's exports to the United States. At the same time, the dollar is strengthening because the U.S. economy is strong. Currency traders are concerned that it will weaken China's economy. But former International Monetary Fund chief economist Olivier Blanchard estimated the yuan's decline since April has offset Trump's tariffs. The dollar to yuan conversion has become one of the most widely watched exchange rates. That's because these two countries have the world's largest economies. Three forces influence the dollar to yuan conversion. The first is the relative strength of the two countries' economies. For example, the dollar's value strengthens during a global crisis. Investors purchase dollars and Treasury notes as a safe haven. The large U.S. debt-to-gross domestic product ratio could threaten the dollar's value in the future. The second is supply and demand. The dollar, as the global reserve currency, is always in high demand. Almost half of all international transactions are made in dollars. All commodities contracts, most notably those for gold and oil, are also priced in dollars. The United States meets this demand for its currency by selling Treasury notes. These are as good as dollars since they can be instantly converted into dollar bills at any time. The third is the yuan's peg to the dollar. The dollar to yuan value had traditionally been a fixed exchange rate. China's central bank controls it. China's economy had been dependent on this rate to control export prices and keep Chinese-made products competitive. 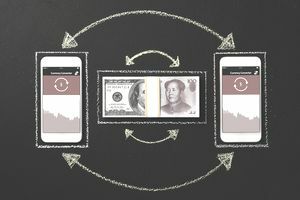 The People's Bank of China never allowed the yuan to rise 2 percent above or 2 percent below a basket of currencies that was mostly the U.S. dollar. That rate was around 6.25 yuan per dollar from 2012 to 2016. In July 2015, China's stock market fell dramatically. Investors, fed up with the volatility, wanted to invest outside the country. To do so, they needed to exchange their yuan for U.S. dollars. Chinese banks lost $39 billion in July, the worst monthly decline since 1998. The PBOC wanted to stop cash from leaving the country. On August 11, 2015, the PBOC startled the world's foreign exchange markets. It announced it would use a reference rate that was equal to the yuan's previous day's closing value. The bank would also take into account supply and demand and the movement of major currencies in setting the so-called fix rate. Here's how it worked. The PBOC posted the new fix rate at 9:15 a.m. It was almost 2 percent weaker than Monday’s close of 6.2. Trading started at 9:30. The PBOC typically allows the yuan to bounce around within a 2 percent range before it intervenes. So it did nothing since the yuan's value remained within range. The next day the yuan fell 1.0 percent to 6.3845. The PBOC intervened to stop the descent. It bought yuan from the nation's banks, reducing its supply and raising its value. It replaced the yuan with U.S. dollars, flooding the market and lowering its value. By August 14, the yuan recovered 0.1 percent to 6.3908 per dollar. Altogether, the yuan fell 3 percent against the dollar. Many analysts warned the yuan would fall another 10 percent. They believed that China was starting a currency war. In fact, the PBOC did not want the yuan to devalue much more. Many Chinese businesses had taken out loans in U.S. dollars. They took advantage of record-low interest rates, thanks to the U.S. Federal Reserve's program of quantitative easing. The cost of paying back these loans would rise as the yuan's value fell. On October 10, 2015, the PBOC told investors it would continue to let the yuan be affected by market forces. It also reassured them that the movement would not be sudden. The PBOC wanted to allow the yuan to evolve slowly toward a floating exchange rate. That would give it more flexibility with monetary policy. It's another step toward promoting the yuan to replace the dollar as the world's global reserve currency. On January 6, 2016, the PBOC further relaxed its control of the yuan as part of China's economic reform. It allowed the yuan to fall to 6.5567 from 6.5084 on January 1, 2016. The uncertainty over the yuan's future helped send the Dow down 400 points. On January 11, it was 6.58055. Investors panicked and sent the Dow down more than 1,000 points in the first week of the year. The government guided the yuan lower throughout the rest of the year. On October 1, 2016, it reached a six-year low of 6.7008. It continued to fall, reaching 6.9582 on December 18, 2016. It strengthened for a short while in 2017, reaching 6.8432 on January 18. It fell again in the spring, then strengthened from 6.89 on May 24 to 6.794 by June 11, 2017. This only happened because China intervened to maintain the yuan's value. It assured markets that it would not let its currency weaken further against the dollar. In 2017, the yuan benefited from the weakening of the U.S. dollar against the euro. The yuan has been weakening compared to China's other trading partners in Asia as well as its customers in Europe. That makes China's exports more competitive against its local rivals. The PBOC wanted the International Monetary Fund to designate the yuan as an official reserve currency. The IMF required the yuan to be driven more by market forces, even if it meant greater market volatility. The central bank's policy change caught global markets off guard. Many traders and businesses had hedged their exposure to the yuan. Since the yuan hadn't changed much in value in prior years, they thought they were protected. If the yuan started trading freely, it could damage their profitability. That uncertainty created a fourth and artificial force. In 2016, hedge funds like Hayman Capital Management began shorting the yuan and the Hong Kong dollar. They bet that the yuan would fall 40 percent by 2019. That put downward pressure on the yuan's value. That forced the PBOC to buy more yuan and impose other restrictions to keep the yuan at its target. As the chart below shows, China kept the yuan at about the same value until 2005. The U.S. Congress accused China of keeping the yuan too low. President Bush appointed Hank Paulson as U.S. Treasury Secretary to ask China to strengthen its currency. Chinese leaders complied. They wanted to slow China's economic growth to avoid inflation. The central bank allowed the yuan to strengthen. On January 26, 2014, the yuan reached an 18-year high. That meant one dollar could only buy 6.0487 yuan. Since 2005, the yuan rose 33 percent against the dollar. That's a healthy rate of increase. Any more would have negative economic impacts for China. The country is desperately trying to keep its 1.3 billion people employed to raise their standard of living. China's leaders are afraid they will revolt if growth isn't fast enough. Despite the yuan's controlled rise, many analysts still thought the Chinese government kept the yuan artificially low. They said it needed to rise 30 percent more in value. They argued that if China allowed the yuan to float freely, it would be more valuable than the dollar because of China's strong economy. Between 2014 and 2018, China's central bank has allowed the yuan to weaken again to boost its exports. The dollar rose 15 percent against most major currencies in 2014, dragging the yuan with it. The yuan was overvalued compared to its other trading partners that weren't pegged to the dollar. Since 2005, it had risen 55.7 percent adjusting for inflation. 2005: 8.277 - China agreed with Hank Paulson's request to strengthen yuan. 2013: 6.230 - U.S. trade deficit with China hit record. 2014: 6.050 - Yuan reached 18-year high in January. 2015: 6.205 - China relaxed its peg and the yuan weakened. 2016: 6.534 - China further weakened the yuan to boost exports and limit capital flight. 2018: 6.491 - China strengthened yuan to appease President Trump.